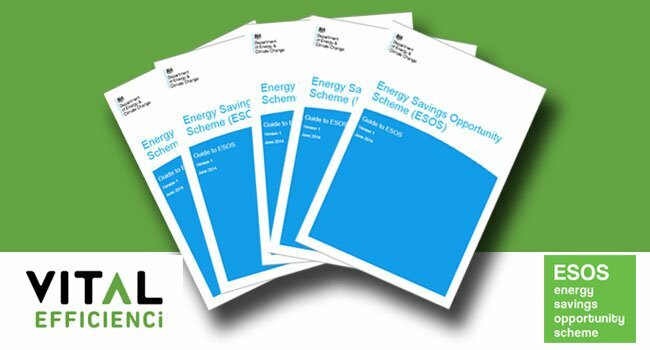 Vital Efficienci have released a briefing note designed to help companies understand the Energy Saving Opportunities Scheme (ESOS) which requires qualifying organisations to monitor, measure and identify ways to reduce their energy usage, with failure to comply resulting in a possible fine of up to £50,000. Darren Parrish, Director of Vital Efficienci commented, “This is a topic which can be daunting for organisations who don’t have an energy management specialist on their books, so we wanted to put together an easy to understand guide which distils the original 90 page Department of Energy & Climate Change ESOS guide into an easily digestible page. If you’d like to read the Vital Efficienci guide to ESOS, you can click on it here. Alternatively, if you’d like to talk directly to an energy expert then please call 020 3478 1070 or email info@vitalefficienci.co.uk and we’ll be happy to discuss your needs.